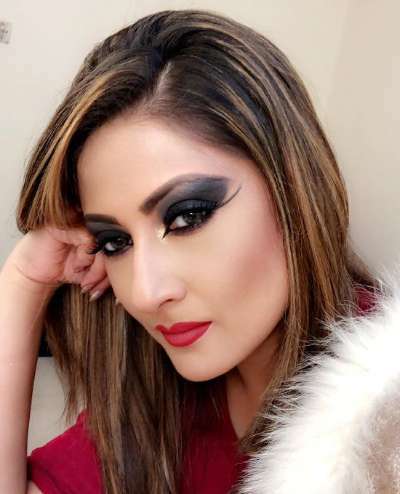 Urvashi Dholakia is an Indian television actress. She is best known for her role as Komolika Basu in Television Series Kasautii Zindagii Kay. In 2012, she participated as a contestant in Colors TV’s reality show Bigg Boss 6, where she was the winner in early 2013. She played the role of the evil character of Queen Iravati in the fantasy television series Chandrakanta (2017-2018). Born on July 9, 1979, in Delhi, India, to a Punjabi mother and a Gujarati father, she began appearing on commercials at the age of six. She married at the age of 16 and is the parent of two children: twin boys Kshitij and Sagar. *She was born on July 9, 1979, in Delhi, India. *She made her acting career debut at the age of 6 with TV commercial of Lux soap with actress Revathi. *She has raised her twin sons Kshitij and Sagar as a single mother since since she was 18.